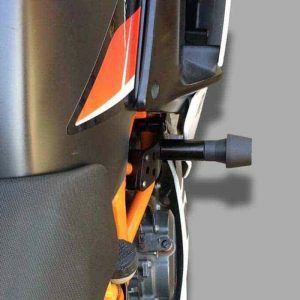 KTM RC390 Frame Sliders helps to protect your motorcycle frame, engine and cases during a crash, slide or drop. Comes with everything needed to install. A relatively easy install with minimal tools. 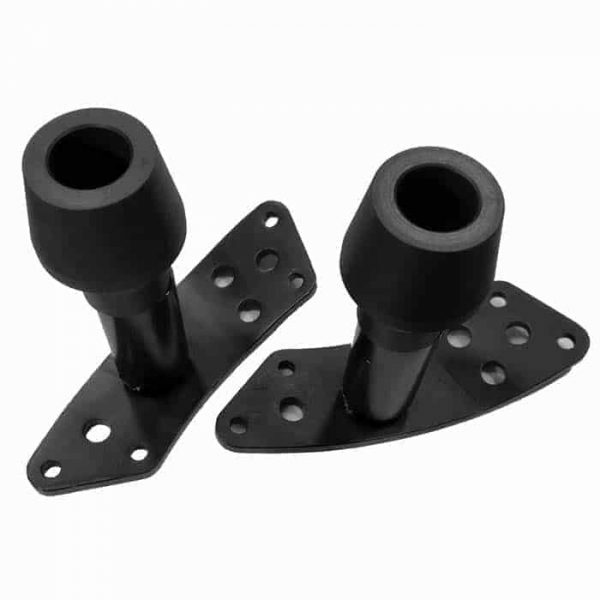 KTM RC390 Frame Sliders are the best way to protect your bike, and are the same quality that riders and racers have come to expect. We have over a decade of research and development behind our products. Our frame slider pucks are made of a unique material and are designed for the best possible protection. Designed for street or track use. 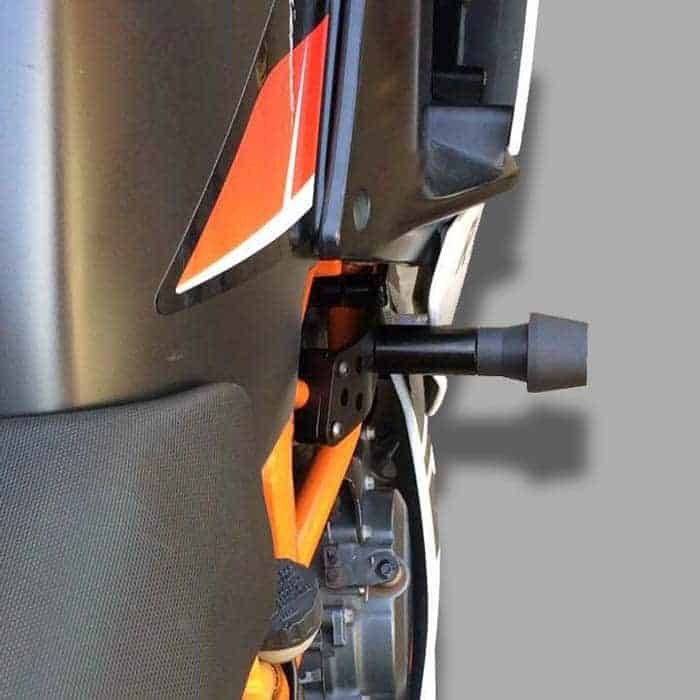 Our KTM RC390 Frame Sliders offer the minimalist yet stylish look while protecting your bike in the event of a slide. Our Frame Sliders are CNC machined aircraft grade aluminum mounts, hard anodized for outdoor use. High performance engineering polymer bobbins. Lightweight & extremely easy to fit. Durable & built to last.